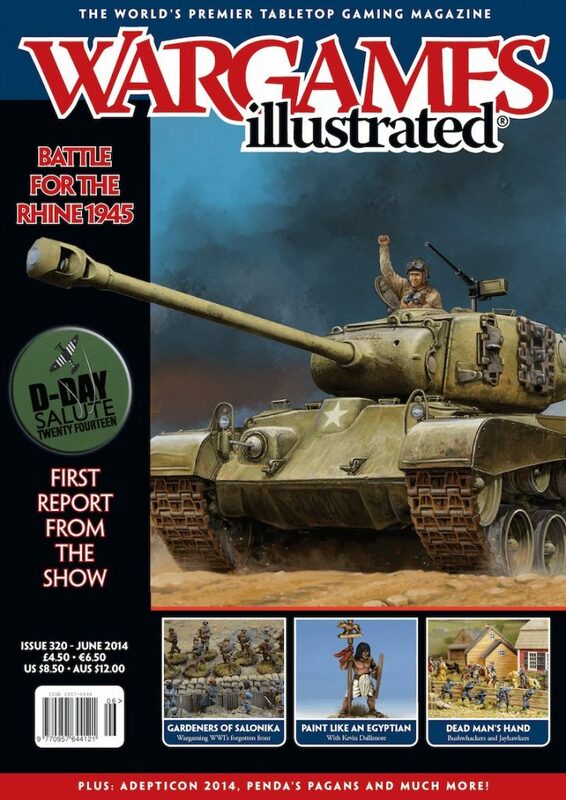 The June 2014 issue of Wargames Illustrated. Taking the theme of Battle for the Rhine 1945. 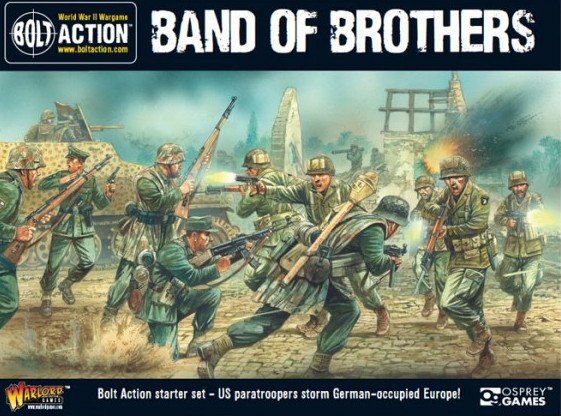 To celebrate the release of the new Flames Of War Bridge at Remagen Intelligence Handbook, the guys from the Battlefront Studio report on a US and German armoured forces clash in the Ruhr. The Master Builder behind the Wargames Illustrated 2014 show table – Nick Buxey – talks us through the construction of this wonderful 12’ x 6’ board. With the release of the new Flames Of War Pershing plastic kit, the Battlefront Studio take a look at this iconic World War Two tank, in history and in the game. Barry Hilton reports on a ‘League of Augsburg’ weekender in which players used Republic to Empire to play out the Napoleonic Battle of Bautzen, 1813. Following on from last month’s article – Under the Black Flag – we present a three scene scenario for Dead Man’s Hand using some new rules for incorporating American Civil War guerillas into the game. You will find cards for these new ‘gangs’ on the back of the magazine. The biggest show in the European wargaming calendar has been and gone for another year, but don’t worry if you either missed it, or would like to see some of the games at the event again, because this report showcases some of the best tables from the show, and compiles the news from some of the biggest manufacturers regarding their 2014 releases. Author and rules writer Chris Peers introduces us to the army of the last of the Pagan Saxon kings – Penda of Mercia. In the last issue we had sculptor Steve Salah talk us through the process of sculpting a figure, namely, an Egyptian Standard Bearer . This month Kev Dallimore bookends the figure’s journey to the tabletop, by showing us how he painted it. We continue our investication of skirmish wargaming with American gangsters, by turning our attention to the North Side and South Side battle for supremacy of 1920 -1929, a conflict which brought Al Capone, and Prohibition, to the fore. We report on the historical goings-on at this major US gaming convention. A report from one of the participants on a massive refight of this well known ancient battle between Ptolemy IV’s Egyptians and Antiochus III’s Seleucids. Away from the mud and blood of the Western Front, the forces of the Central Powers and the Entente were fighting almost another war in the rugged hills and barren plains of Macedonia. Paul Leach introduces us to these ‘Gardeners of Salonika’ and presents ideas for wargaming in this often overlooked Southern Front. Rules writer and regular columnist Alessio Cavatore provides an interesting and informative insight into the much maligned but ever useful wargames rules errata.